Parker and Emma playing dress up at the Disney store! 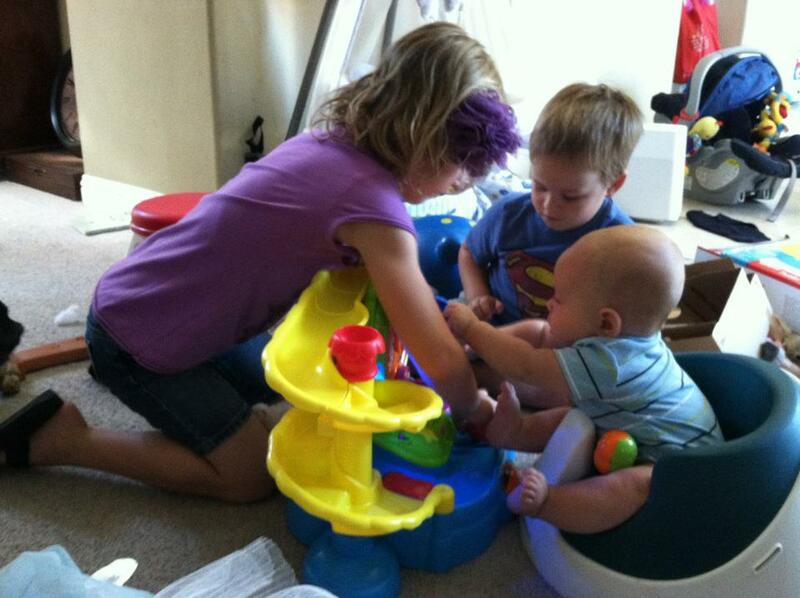 THe kids playing with Blakes new toy! 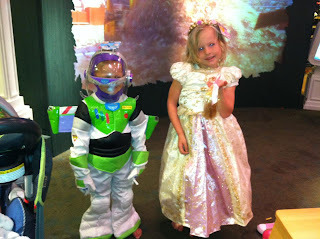 Ema and Parker love it too! 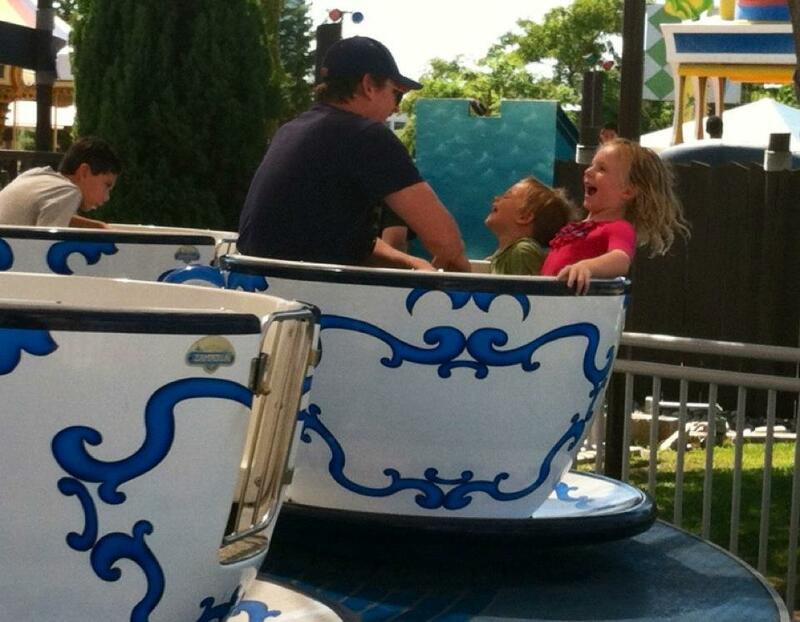 Emma and Parker having a total blast with Ryan on the Teacups. I haven't blogged in so long, so if anyone even looks here anymore, this is Blake David, Our 3rd child and 2nd boy. 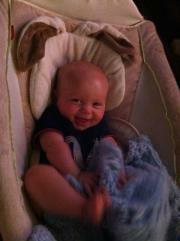 He is such an amazing little angel baby. We are so blessed to have him in our home and family. Emma recently had her dance recital. 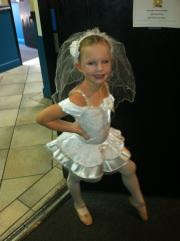 She did great and she loves to dance!!! Me with my fantastic kids! 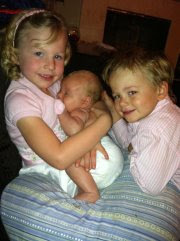 This is a picture of my kids with thier Nana a few weeks before she passed from cancer. This is the only picture I have of them all with her. It is a treasured photo. I am just gld she got to meet Blake. It has been a very hard time for us, but we are getting through. 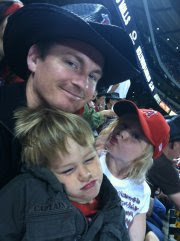 Z We took all the kids to the Angels game, and Parker was tired and in a mood. Emma was sassy as ever. I just love this picture of all 3 of them. Thid is my rasy of sunshine. He has kept me going these last few months, when it would have been so easy for me to fall apart. He is an angel sent from above into our family. The kids adore him and enjoy trying to entertain him. Emma and Parker are becoming fast friends. She loves to make him laugfh and he laughs whenever he sees her! Of course Emma is a bit caught up in the whole this mine, and this that is yours thing, but it actually isn't as bad as I have seen most kids get. She has learned to say "This is mine, but Parker can play with it." or "This is Parker's but I can play with it." Parker crawling and Emma loving him! These are some pics of parker when he was first playing around. I need to rtake some new ones as these are a little old. He loves to play, and is a great at entertaining himself for short periods. The other pics are of Parker eating avocado...boy does he love avocado!!!! Some random pictures of my chunky monkey. It is such a treat to have such a happy little boy! We had so much fun on the fourth of July. We went to our stake dinner and then across the street to watch fireworks from woodbridge lake. For some reason Emma just loves Jonathon. I think they have eqaul amounts of energy. whenever he is around she has so much fun. Below you see them chasing each other. These are Parkers first real pictures. He has changed so much since then. They are from April. I will add more pics of the kids soon! These pictures show the many sides of my dear Emma. She is so shy at times and the life of the party at others, She loves to connect with other people and she ADORES her little brother. Emma is the real deal... And I am so proud of her. fun pictures of us at the park and a few others of parker. I still can't "see" anyhting in the text box when i upoload pictures other than some funky computer language mumbo jumbo... i was going to erase a few of these...but can't figure out where they begin and end. Sooo if you know how to fix this problem... please let me know.